The journey within changes things. Scientists know a remarkable amount about what exists far above us. We know the weight of the Moon. We know the composition of stars in galaxies millions of light years away. But we know comparatively little about what lies just a few dozen miles below our feet. That which is beneath is our mystery. Beneath: a journey within is a 3D multimedia performance that takes audiences on a journey to the Earth’s deep interior. 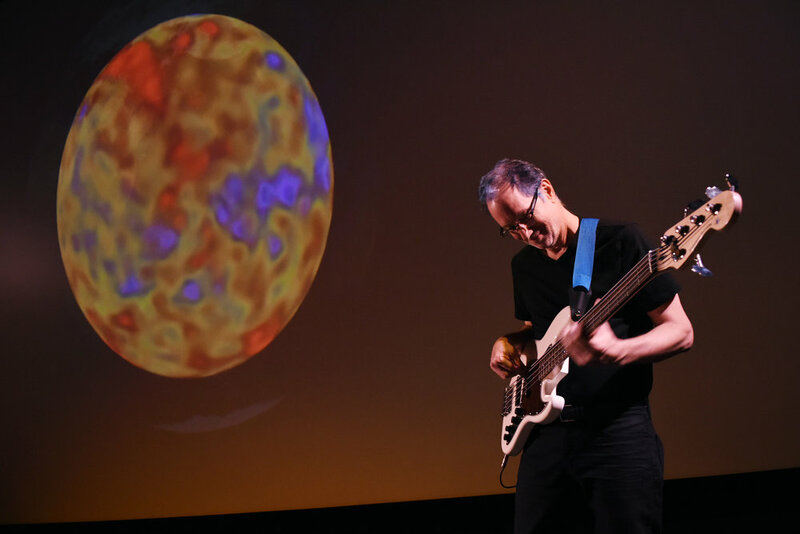 This fusion of science and live theatre features a geologist ballerina dancing catastrophic planetary cycles, a bass-playing geophysicist interacting with his data through trip-hop bass-lines, and a belly-dancing theoretical astrophysicist embodying seismic waves. Audiences also virtually visit the lab of a mineral physicist who uses diamonds in startling experiments, and talk with the first woman to lead a NASA mission beyond Earth’s orbit. Beneath will challenge what you know about the planet on which we live – and the people who study it. Beneath is the product of a multiyear collaboration among a team of planetary scientists, theatre makers, performance artists, and media designers based at Arizona State University in collaboration with animators, media designers, and artists from the performance group Cloud Eye Control, Obscura Digital Creative Studio, and Ohio State University. These internal and external partnerships across both the ASU campus and with our collaborative partners have served to redefine the ways in which performance can function as both an arts-led research practice and forum for engaged learning. In both its goals and methods, Beneath provides a model for transdisciplinary collaboration and public outreach in science. The project has three central goals: to make current scientific research artful, accessible, and compelling for the public; to create new visualization tools that aid scientists in research, communication, and education; and to engage and explore new models of collaboration between artists and scientists. The creative team behind Beneath has produced two new 3D visualization tools featured in the production; both will have a life beyond the performance as tools for scientists. This fusion of theatre and science tells a compelling story that also communicates scientific research in an engaging and unforgettable way. Both compelling and approachable, Beneath illustrates the dynamic systems of the Earth, and shows the ways in which humans are connected to the immense and ancient processes of our planet.